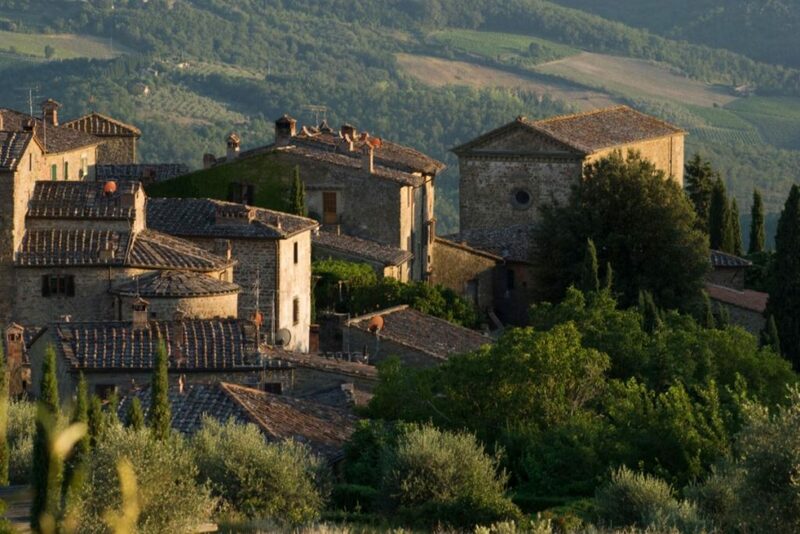 What comes to mind when one hears mentioned “Castello di Volpaia“ in Italy’s Tuscan region? Is it the 11th century fortified village, parts of whose protective walls and towers remain popular with visitors of the area today? Is it the rich legacy left by families who once owned the estate, the great role they played in the formation and definition of the Chianti Classico appellation? Or is it the beautifully labelled, smooth and fresh Sangiovese wines produced from the estate’s collection of 16 organically managed vineyards? A closer look at the estate’s illustrious past and fruitful present reveals that all these elements are in fact interconnected, as is the elaborate labyrinth of stainless steel pipes located under the streets of the village. Let’s take a journey to the hilly terroirs of Chianti, where Castello di Volpaia has for centuries produced wines of unparalleled finesse. Castello di Volpaia can trace its roots back to the 11th century, when it was constructed as a “terra murata” (or walled town) at the border between Florence and Siena. Although much of the town’s original walls and towers have been torn down throughout history, some of it still remains, and the medieval layout and buildings within the town are still very much intact. Volpaia is home to four churches, including the Renaissance-era Commenda di Sant’Eufrosino built in 1443 and declared a national monument in 1981. The basement of the church is now used to store barrels of the estate’s ageing wine. During many centuries, the village served as part of the Chianti League, a garrison in the Florentine-Sienese wars, which bore the emblem of a black rooster. During the 15th century the estate was owned by the Volpaia family, whose coat of arms still graces the labels of the estate’s wines. The family was intimately involved in the local arts and sciences, with Lorenzo della Volpaia founding a local dynasty of clock- and scientific instrument makers. He is even said to have been friends with Leonardo da Vinci and to have given him advice on his work. In 1966, the estate was purchased printer and bookbinder Raffaelolo Stianti, who left it to his daughter and her husband. It was this couple who in the mid-1970’s decided to develop the vineyards and modernize the winery, but without altering the historical structure of the village. Together they transformed ancient structures and abandoned churches into wine cellars, offices and accommodations for workers. A wine-duct (maze of interconnected stainless steel pipes) was set up beneath the streets of the village, allowing the wine to move by gravity from higher to lower parts of the village. The Stianti Mascheroni family continues to own around two-thirds of the village, a total of 370 hectares out of which 46 are covered in vines and 16 hectares in olive trees. Today Castello di Volpaia is its own self-sustainable ecosystem, much like a winemaking beehive. Most of the winery employees live within the walls of the village, which can also accommodate an average of 50 visitors a day. 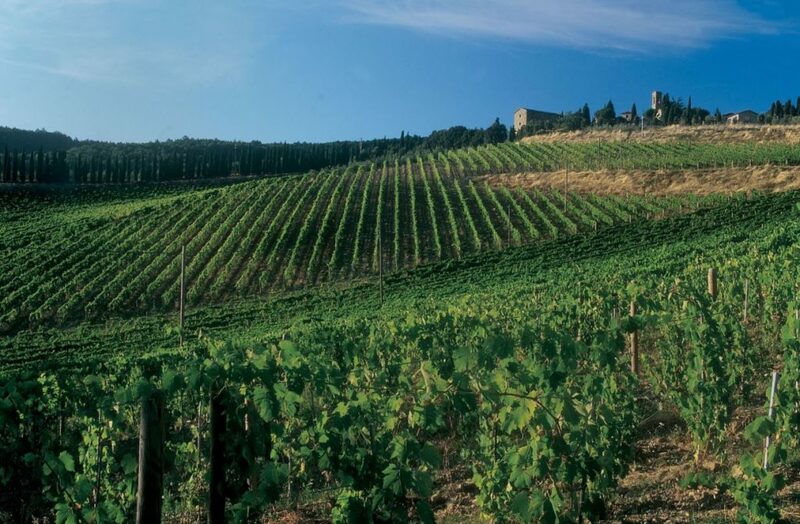 Castello di Volpaia currently reigns over around 46 hectares of vines, planted at altitudes between 450-600 meters above sea level, making it one of the highest up wineries in the region of Chianti. This altitude lifts the vines out of the frosts of spring and autumn, resulting in dramatic thermal amplitude between night and day, essential for the optimal ripening of the fruit. The vineyards are all planted on slopes with a southern orientation and great exposure to the sun. As the soils in this area are relatively light, composed of mainly porous sandstone, the vineyard enjoys fantastic drainage, which forces the vine roots to dig deep in search for water. The minerality “mined” out deep from these soils contribute to the unique style of Castello di Volpaia wines, which tend to be soft, round and fresh, with floral and fruity aromas on the nose, bright acidity and fine tannins on the palate and a finish generous with cherries. 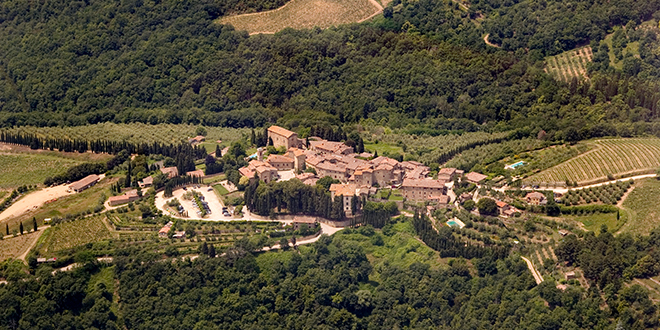 In the past four decades or so, Castello di Volpaia has replanted almost 80% of its vineyards with the aim to increase the density of the vines, diversify clones of Sangiovese to match the diverse landscape of the vineyards, and reduce yields per hectare through the implementation of strategic training systems and pruning techniques. Since the late 1990’s, the estate has turned to organic viticulture and has been certified organic since the vintage of 2004. The Volpaia property comprises 16 estate vineyards, which are most planted with Sangiovese but are also home to some Cabernet Sauvignon, Merlot, Tebbiano, Malvasia del Chianti, Chardonnay and Sauvignon Blanc. This collection of vineyards includes the south-southwest facing Balifico (planted with 3 hectares of Sangiovese and 2 hectares Cabernet Sauvignon, in two separate parcels), the southwest and southeast facing, 3.5-hectare Coltassala (planted with Sangiovese and Mammolo) and south-southeast facing 0.56-hectare Casanova (planted with 25 distinct clones of Sangiovese). These vineyards are home to vines used to produce the three wines featured below. Harvest at Castello di Volpaia begins with a green harvest in late July, meant to concentrate the remaining grape clusters so that they may reach full maturity. Chardonnay and Pinot Noir ripens first, followed by Merlot and Syrah and then Sangiovese and Cabernet Sauvignon in the beginning of October. The grapes are picked by hand in two different rounds per vineyard to allow grapes that are “lagging behind” to catch up on ripening before they are harvested. At the nearby winery the grapes are sorted and destemmed, gently pressed and the must transferred to stainless steel vats, where they cold soak for two days before fermenting. After removing the cap, the juice continues to ferment in another steel vat. As a way to preserve the original structures so important to the history of the estate, Castello di Volpaia has created an underground labyrinth of steel pies running below the streets of the village. It is through this elaborate labyrinth that the wines flow from their stainless steel tanks to Slovenian or French oak barrels of various sizes (depending on the character of each harvest) to age for various lengths of time (depending on the appellation under which each wine is classified). Chianti Classico, for example, spends 12-16 months in Slovenian oak caks, while Chianti Classico Riserva spends 24 months in Slovenian or French oak casks as well as French barriques. Balifico and Coltassala wines spend 24 months in French barriques before bottling. The barrels are housed beneath the ancient buildings of the village, including the Church of San Lorenzo, the Collenda and Via Castellana. After maturation, the wines are lightly fined, filtered and bottled in a brand new bottling area, built in 2005. They continue to age in the bottle in the dark, cool cellars below Palazzo Canigiani. 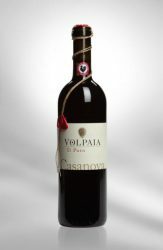 The Chianti Classico Riserva “Il Puro” by Castello di Volpaia is a 100% Sangiovese red wine produced in the Casanova vineyard in the appellation of Chianti Classico. The vineyard extends over around 0.56 hectares, with the vines planted in sandstone soils. The vines are cultivated following the practices of organic agriculture and without CO2 emission into the atmosphere. The name “Il Puro” echoes that this is a single-varietal expression of Sangiovese in its purest form, made in a way that respects the soil. 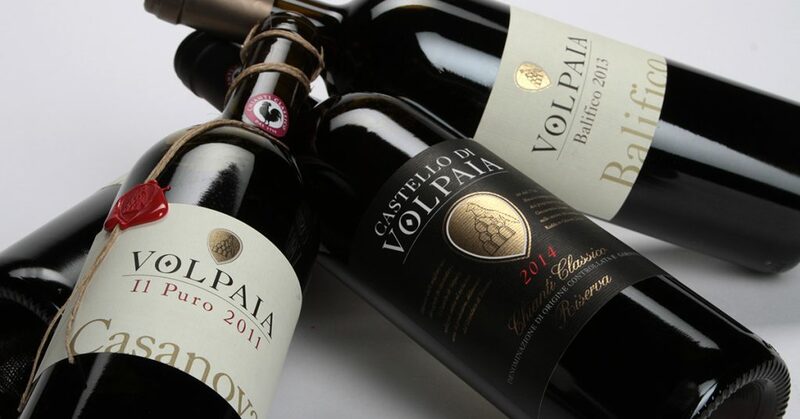 The Castello di Volpaia Riserva “Il Puro” 2011 reveals a beautifully complex aromatic structure, with powerful notes of cherries and violets, accompanied by subtler fragrances of vanilla and cocoa. The wine is very soft, silky smooth and intriguing. The fruity aftertaste complements nicely its superbly long finish. 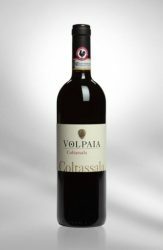 The Coltassala 2013 of Castello di Volpaia is a red wine that blends 95% Sangiovese and 5% Mammolo. Classified as a Chianti Classico, this Super Tuscan is made from vines grown on a 3.50-hectare vineyard, planted in a light, sandstone-based soil. The 2013 Chianti Classico Coltassala from Castello di Volpaia presents a bright, ruby-red colour. The nose reveals intense fragrances of vanilla, cocoa and fruit. This is a beautifully structured wine with great ageing potential. 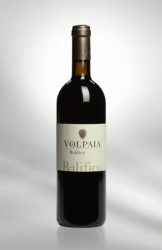 The Balifico 2013 from Castello di Volpaia is a blend of Sangiovese and Cabernet Sauvignon. This Super Tuscan vineyard is located at more than 400 meters of altitude, between Coltassala and Casanova. The vines are planted on a terroir composed of decaying sandstone, providing light soil that is rich in limestone and texture. At the tasting, Balifico 2013 from Castello di Volpaia presents a lively ruby red colour with dark purple legs. The nose reveals itself to be quite refined and elegant, with beautiful aromas of blackberries and blueberries developing alongside subtler notes of wood and cinnamon. On the palate this wine is particularly smooth, round and very well-structured. One can observe the magnificent persistence of the red fruits on the aftertaste.